The Walking School Bus is proud to engage in its proven curriculum model that has evolved over the past 3 years through enhancements in collaboration with our partner communities in Uganda and India. The TWSB curriculum program engages in two primary areas: (1) Literacy enhancement and (2) Curriculum supplementation. TWSB is proud to use Simbi with our partner-schools, an innovative reading-while-listening application that uses different voices, accents and dialects to provide the reader the most relevant voice available in their respective region. Simbi has proven to double literacy objectives in randomized controlled trials conducted during our expeditions. The curriculum supplementation program involves making accessible nearly 60GB of educational content to rural communities without requiring access to the internet. We make available content from Wikipedia, TED, Khan Academy, thousands of books, and more. The power of this program occurs during our expeditions and beyond, when we work with teachers at our partner-schools to match the massive library of educational content with their learning outcomes planned for the year, as regulated by the National curriculum in their respective countries. We then train teachers to access the content and make it contextually relevant to their country and their personalized teaching goals. This has proven itself as a successful educational model that not only gives schools enhanced access to educational content, but also ensures its sustainability through contextually relevant teaching materials. Learn more about how we initiate and engage our curriculum outcomes during expeditions in India and Uganda! 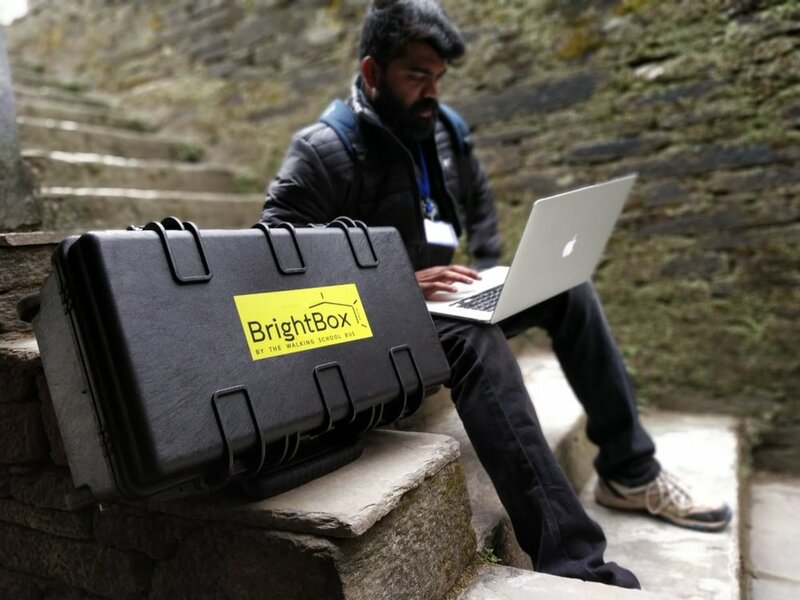 The BrightBox Macro is our solar classroom solution. We re-purpose used shipping containers and refurbish them with solar technology and a modern-day design to provide rural communities a welcoming space with education-technology services, used to supplement the existing national curriculum in the countries we work in. Students love learning in the BrightBox Macro! 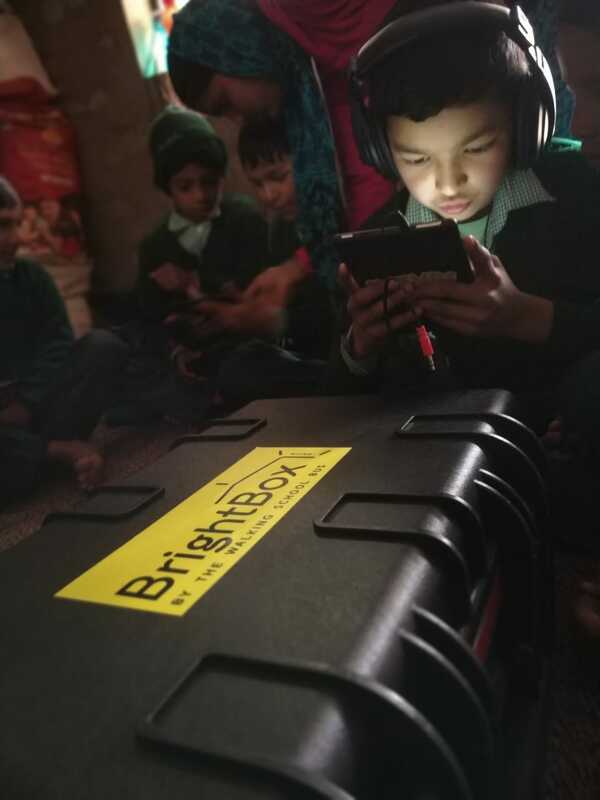 The BrightBox Micro is our classroom solution in a box! The Micro is used in existing classrooms at our partner-schools and offers the same education-technology services in the Macro while requiring significantly less space. The Micro comes with 15 Kindle Fires, the TWSB-enhanced Raspberry Pi Microcomputer, and a Wifi router, enabling up to 1000 students to connect during a single session!